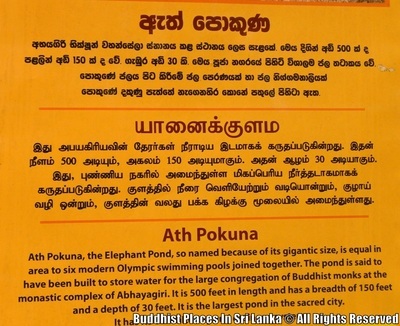 "Ath Pokuna", The Elephant Pond, so named because of it's gigantic size, is equal in area to 6 modern Olympic swimming pools joined together. 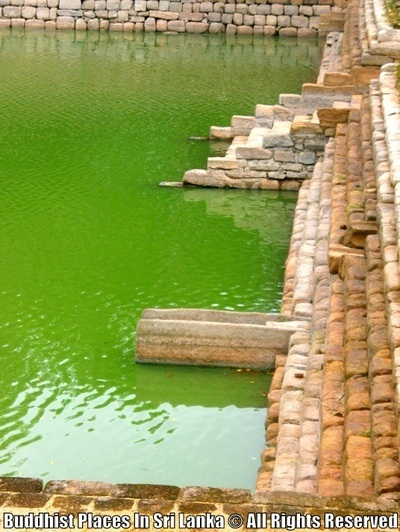 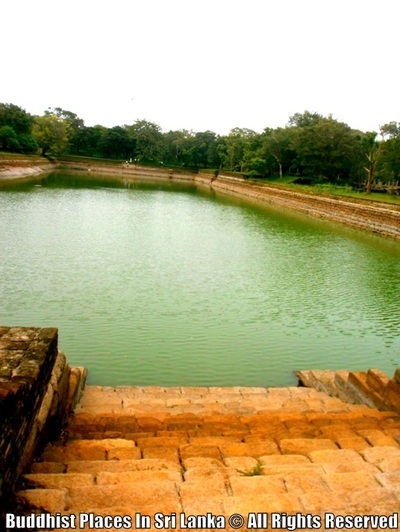 The pond is said to have been built to store water for the large congregation of 5000 Buddhist monks at the monastic complex of Abhayagiri. 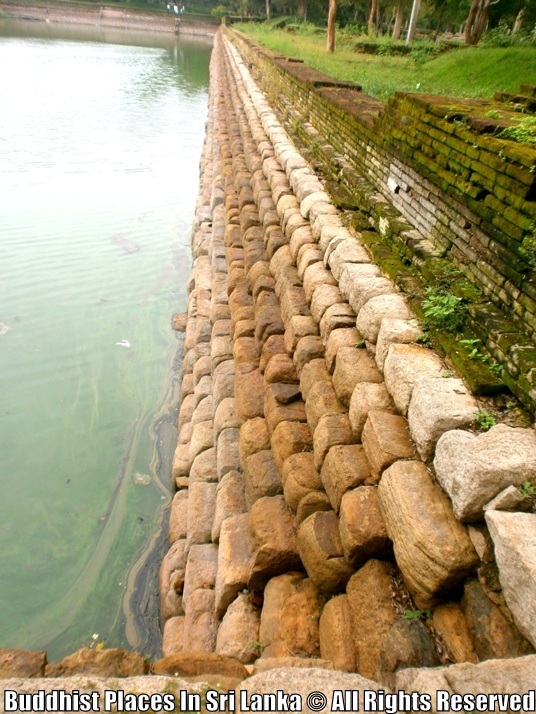 It is 500 feet in length and has a breadth of 150 feet and a depth of 30 feet. 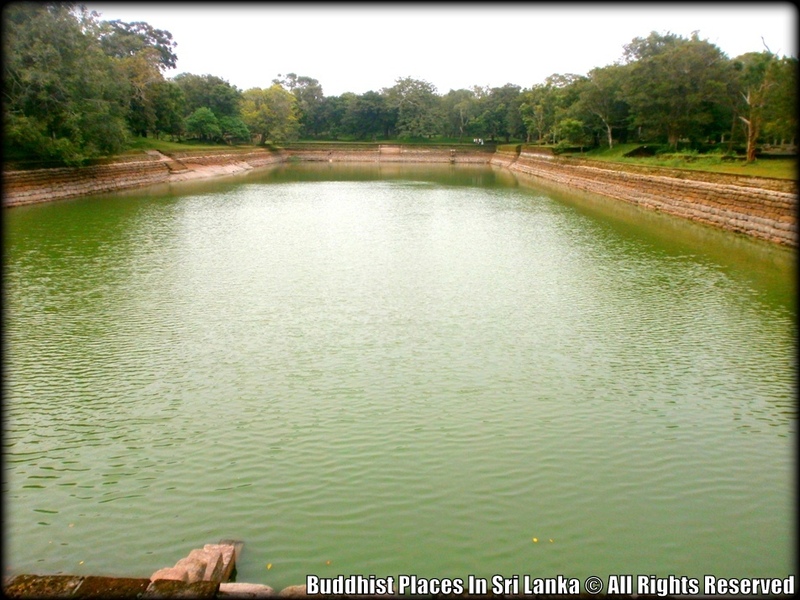 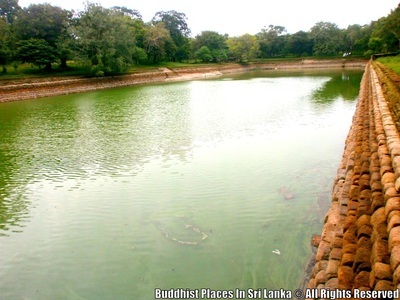 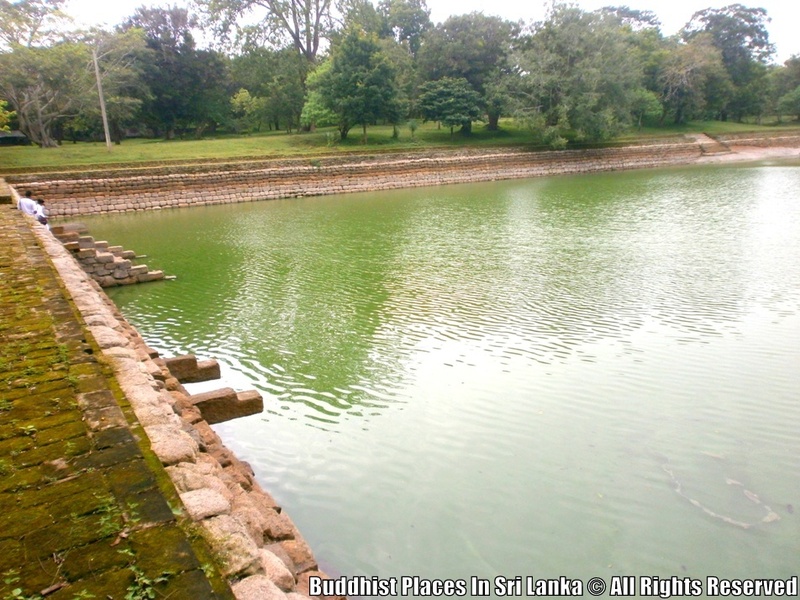 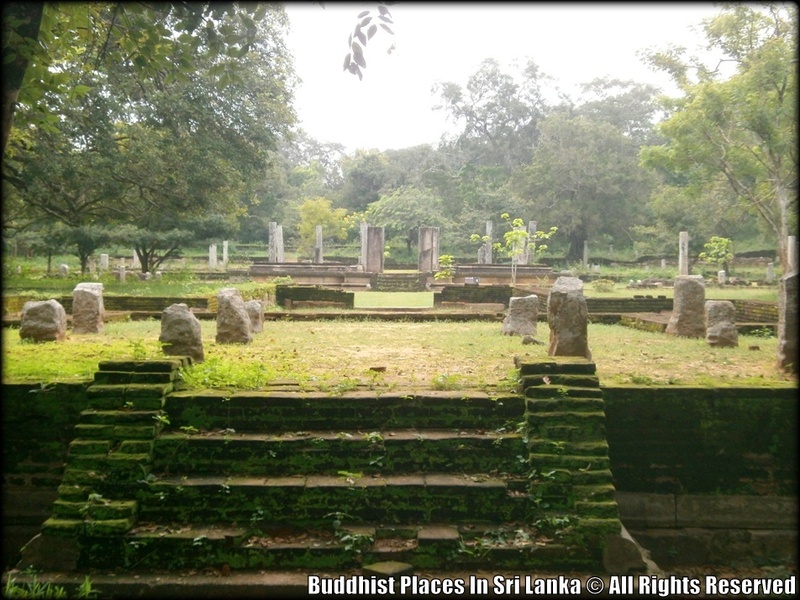 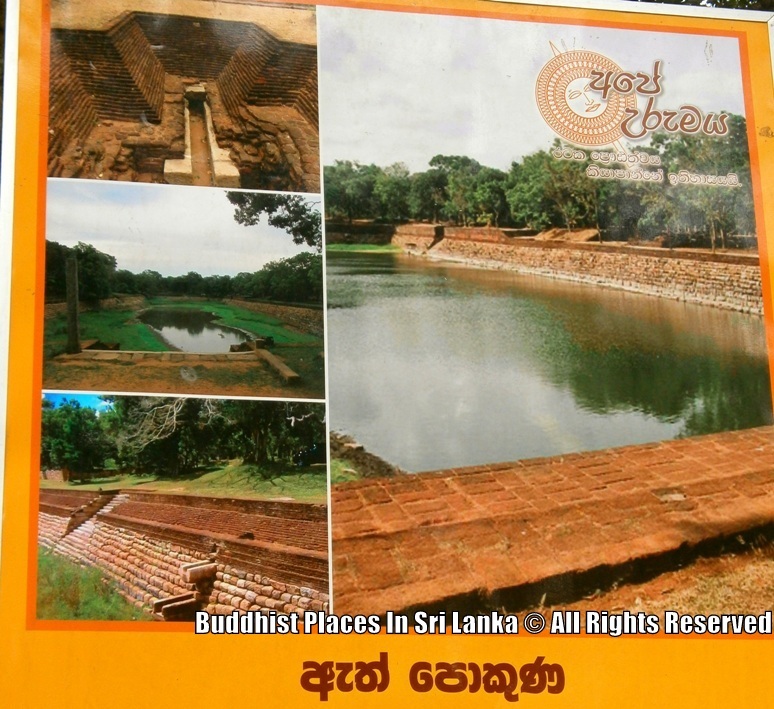 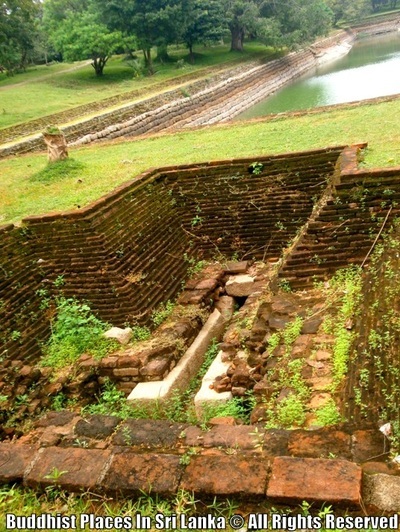 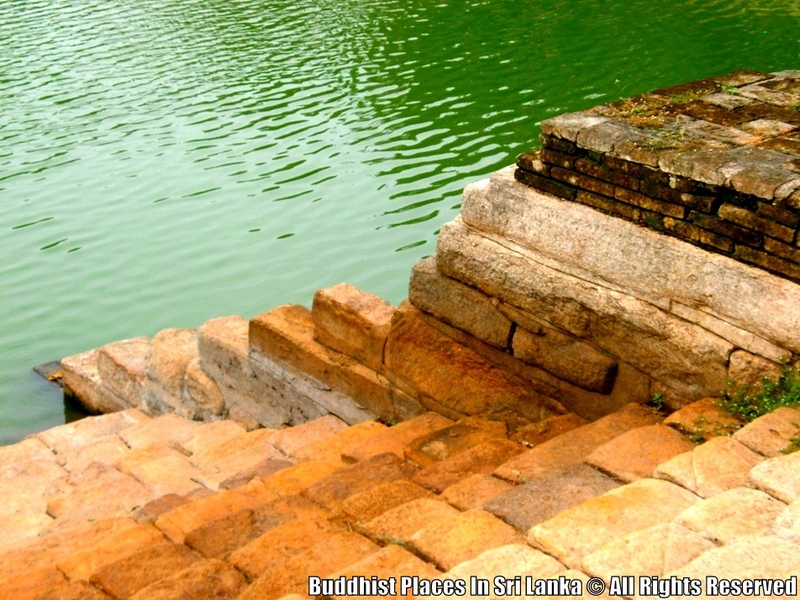 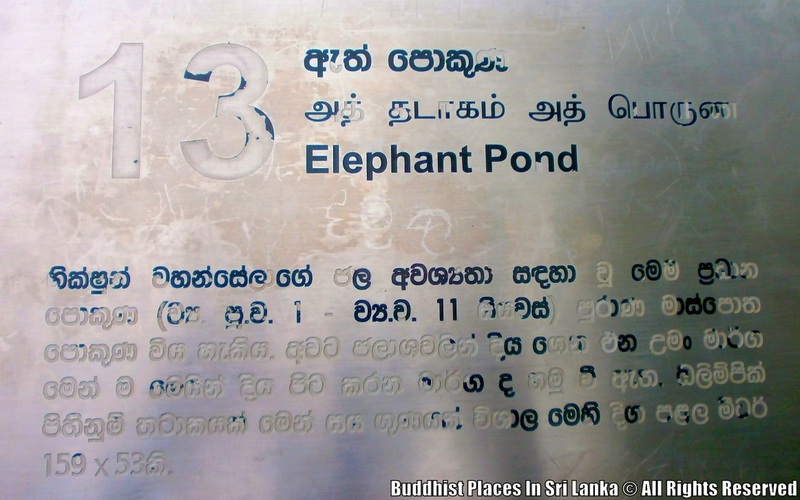 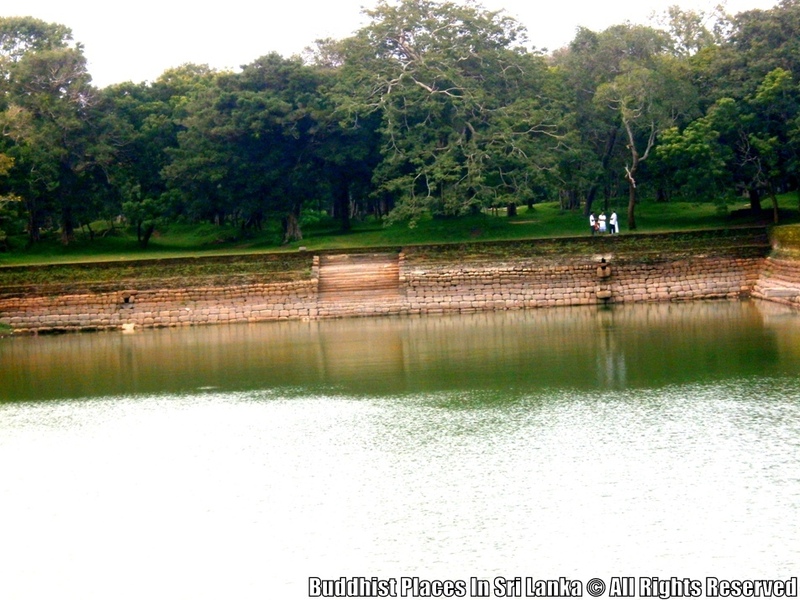 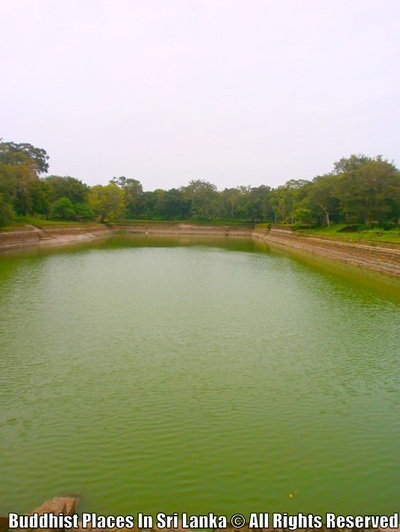 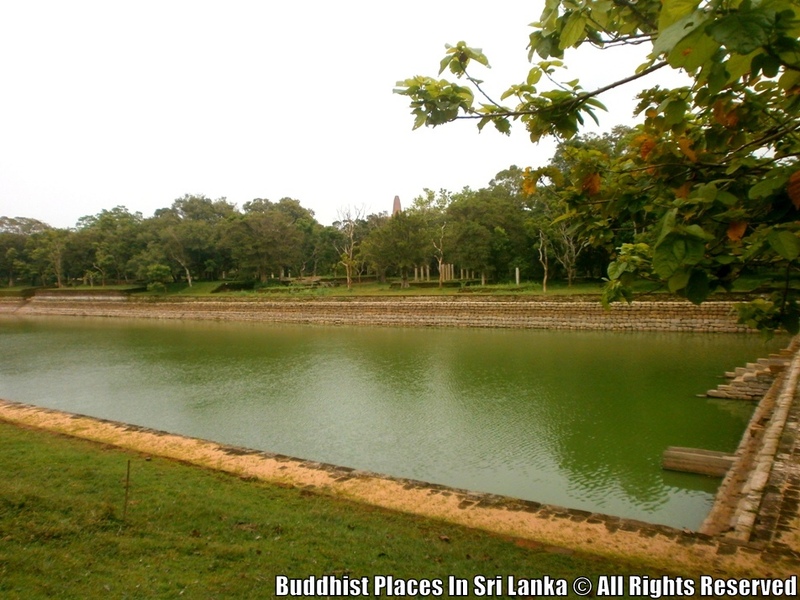 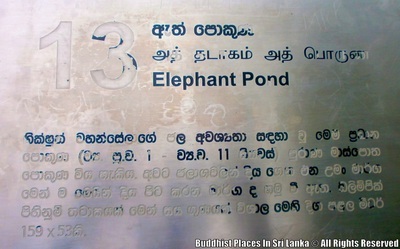 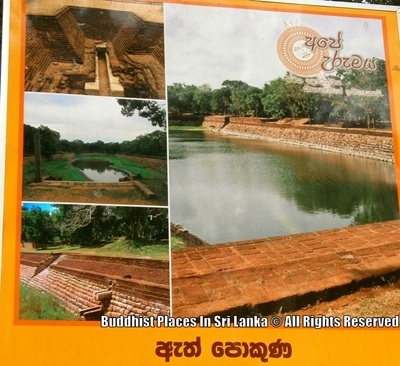 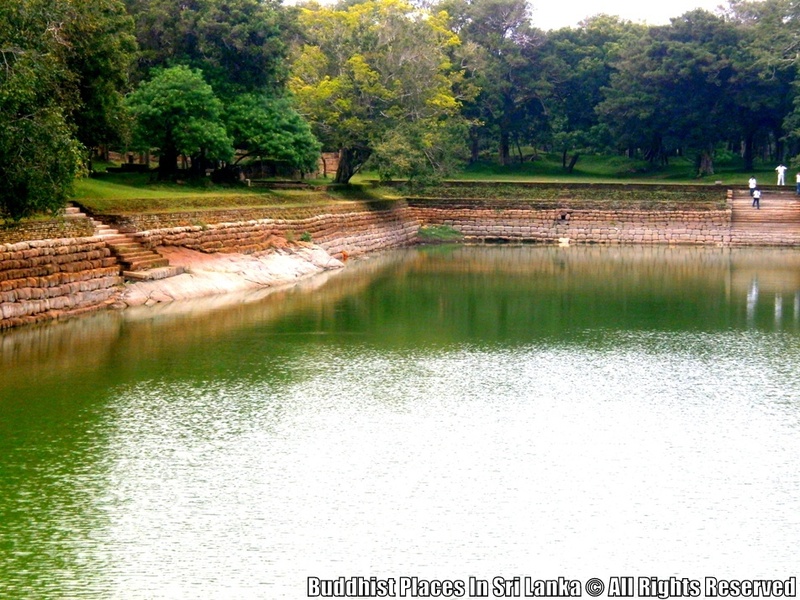 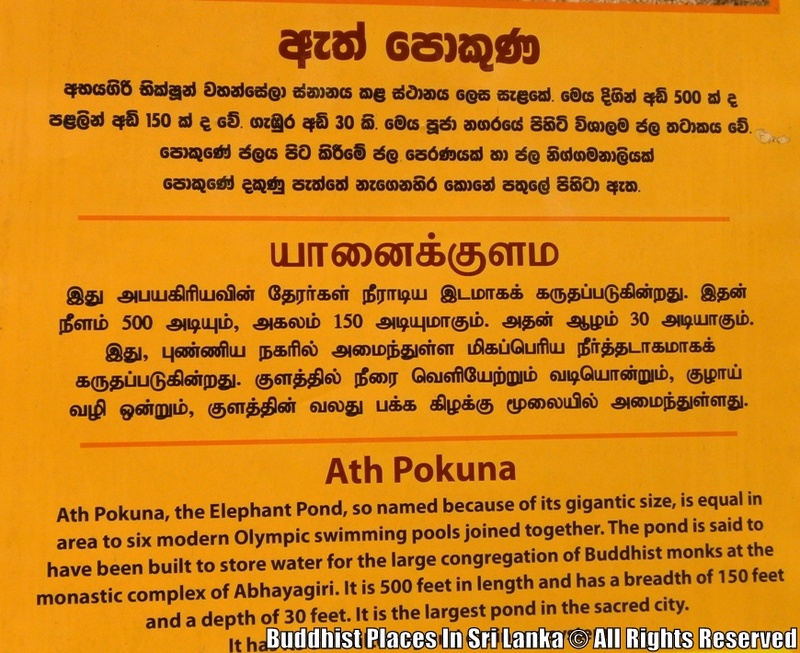 It is the largest pond in Anuradhapura. Underground conduits conveying water from reservoirs to this pond and channels taking water out of it had been discovered.